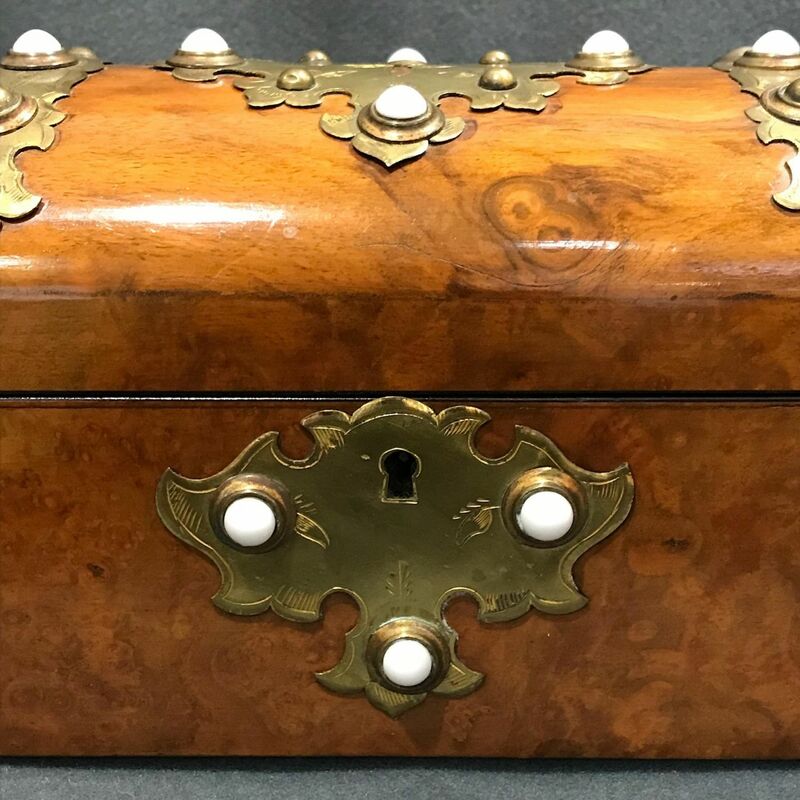 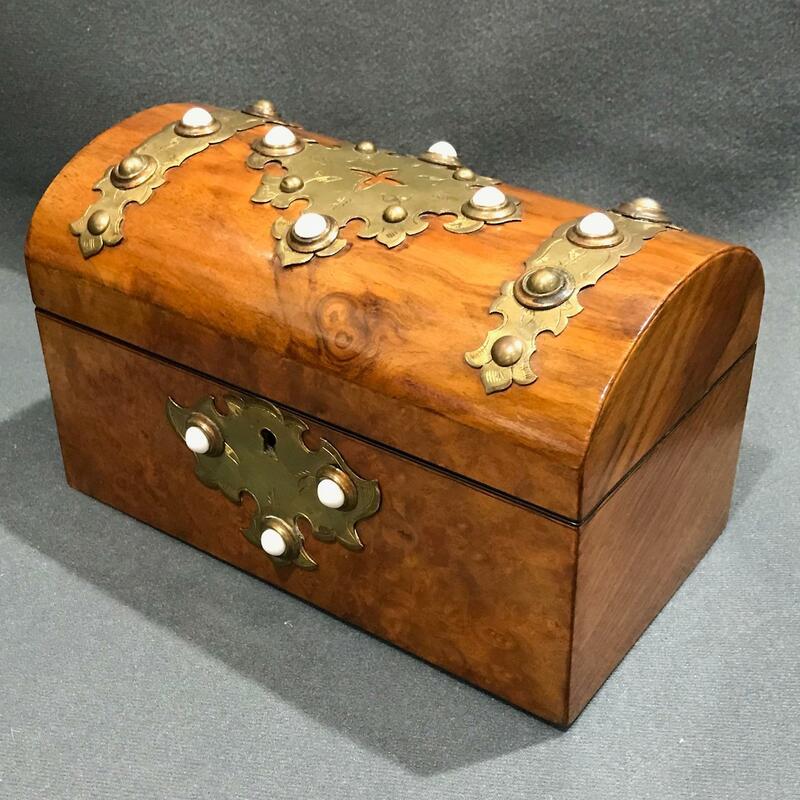 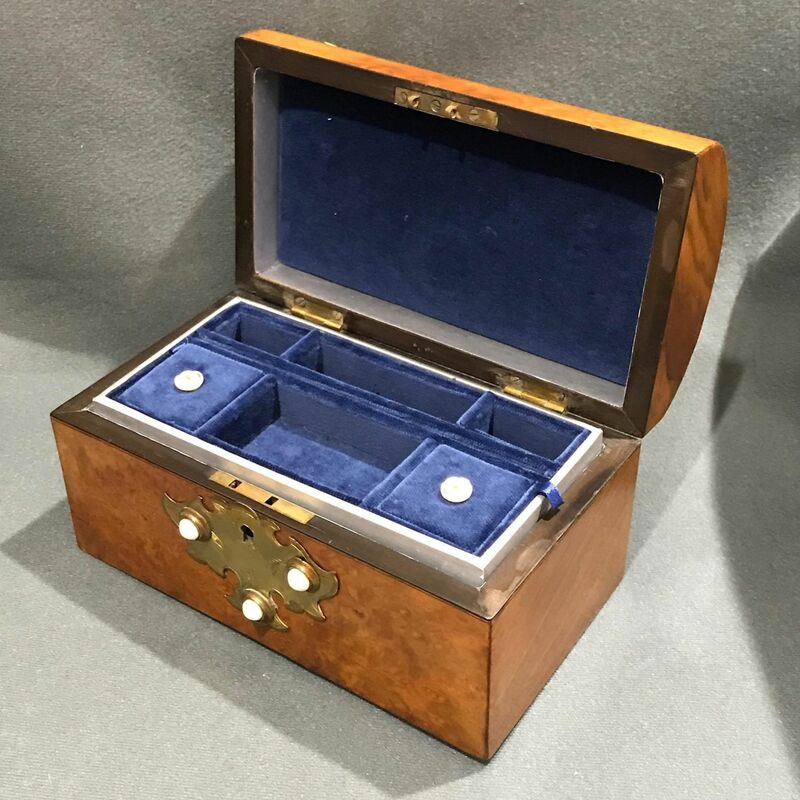 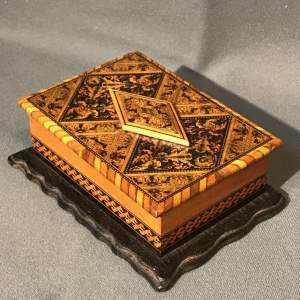 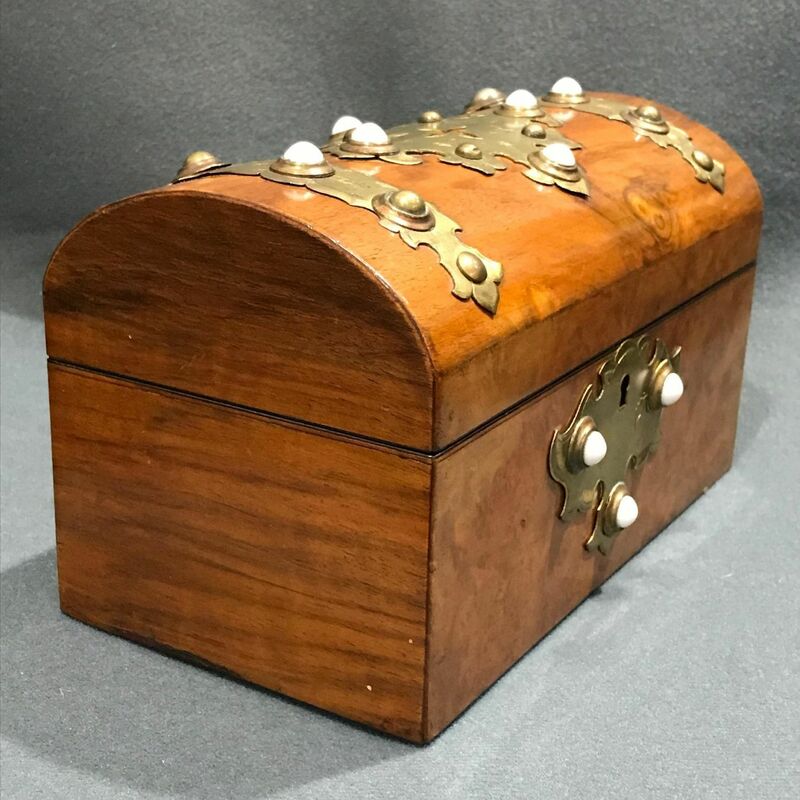 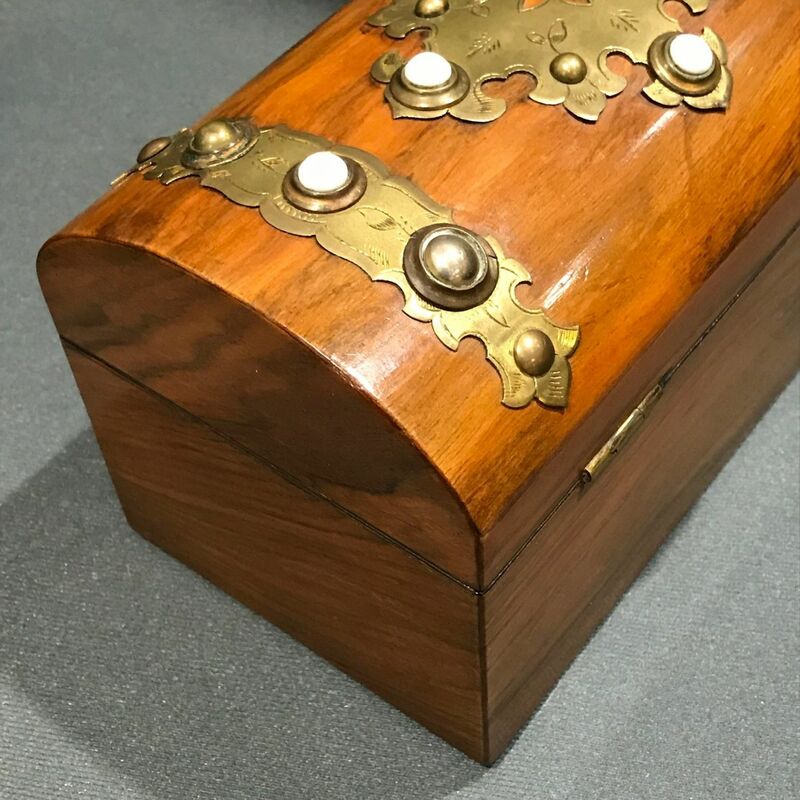 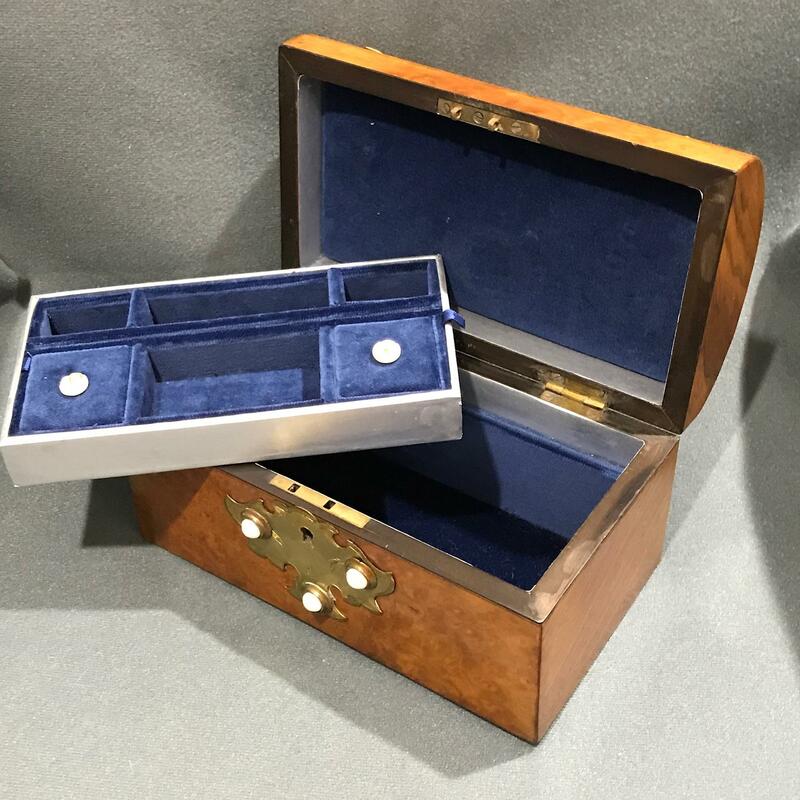 A good quality late Victorian burr walnut dome topped jewellery box. 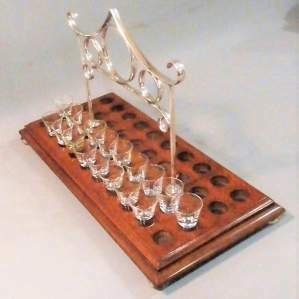 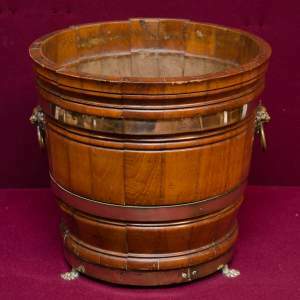 Decorated with Aesthetic period Brass strapwork, featuring typical Gabachon beadwork. Full fitted interior with original key.